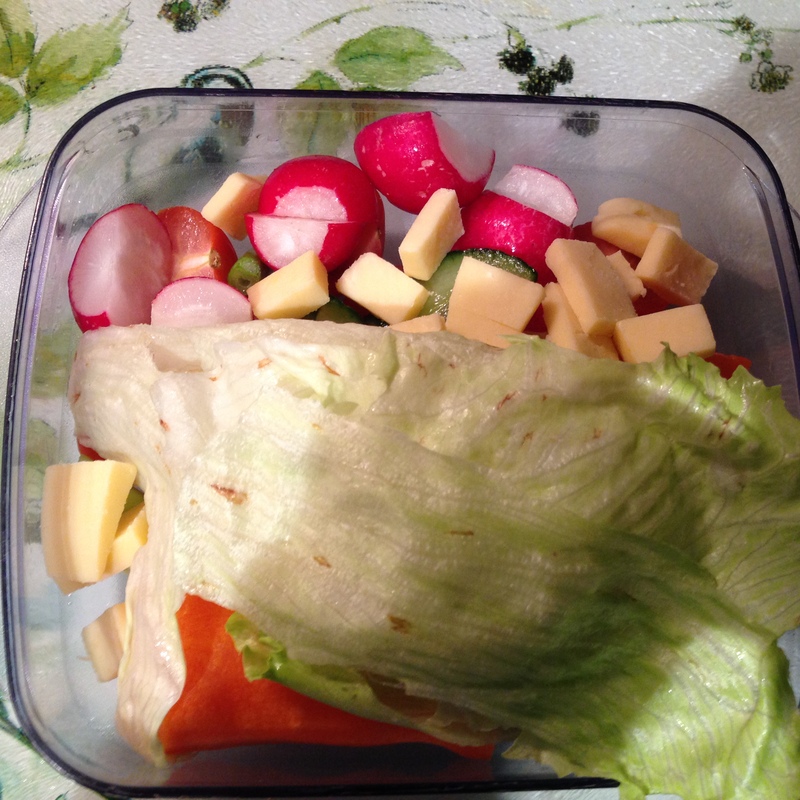 Lunch: 5 cherry tomatoes, 4 radishes, 5 slices of cucumber, 2 carrots, some sad iceberg lettuce, 2 spring onions and 40g cheese. 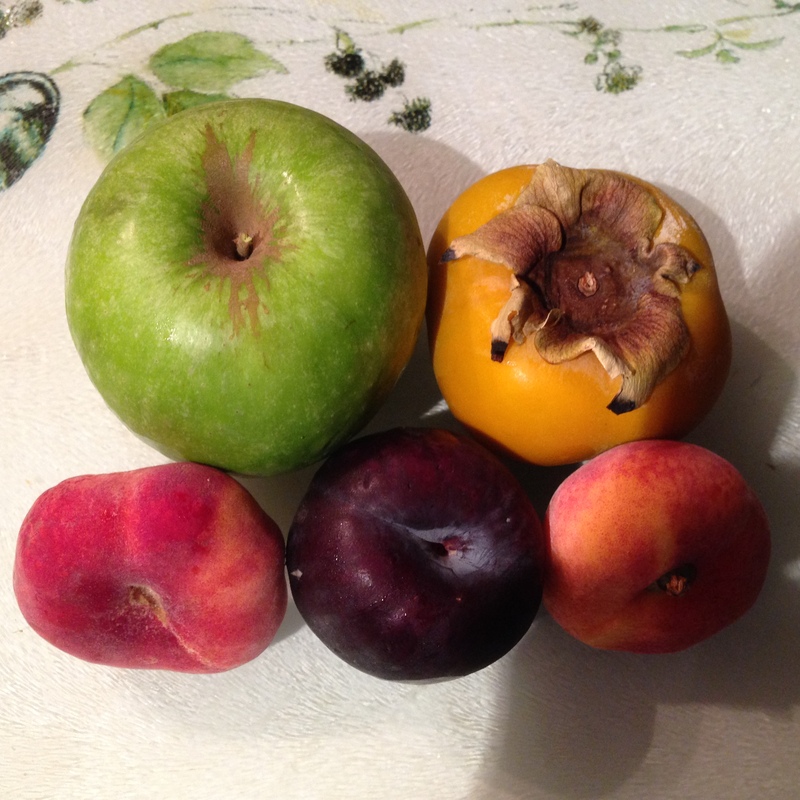 Snacks: a Granny Smith apple, a Sharon fruit/persimmon, two doughnut peaches and a plum. 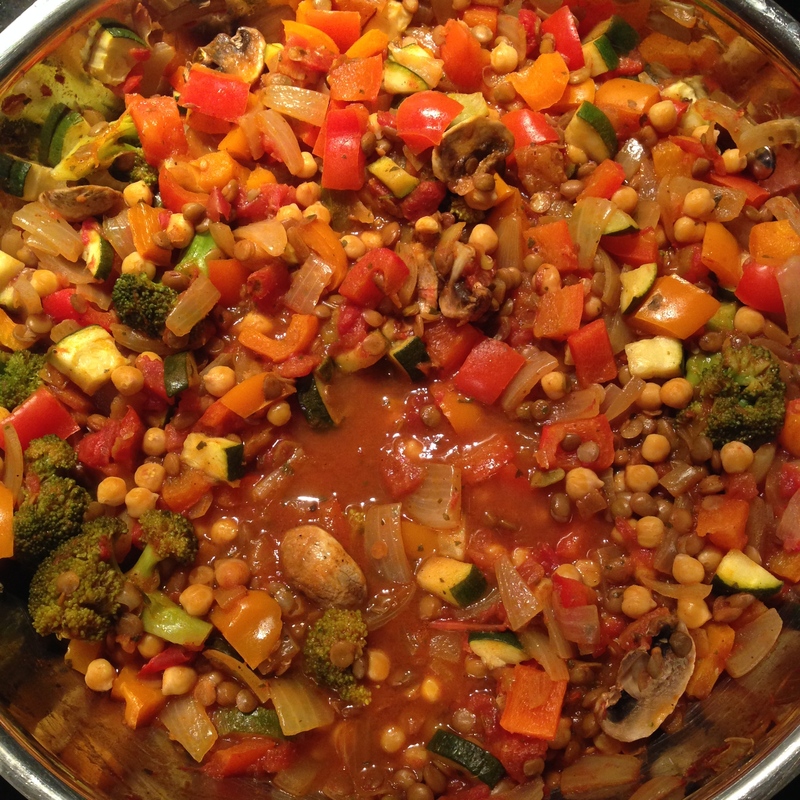 What do you include in your salads? 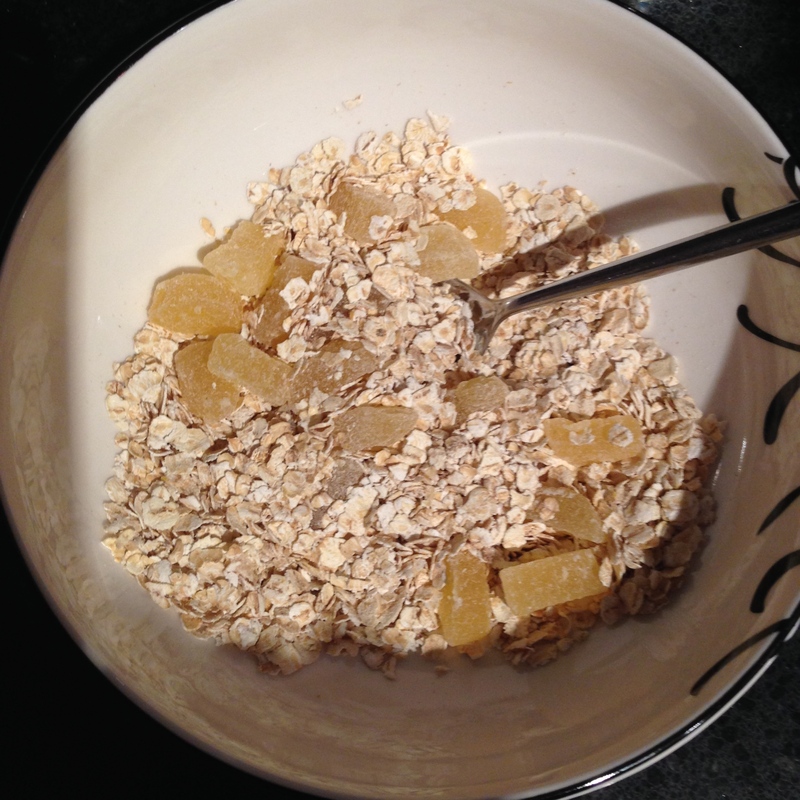 What healthy snacks do you recommend?